About company CERNIN s.r.o. :: Cernin s.r.o. Since the second half of the 90's, we have been producing vertically mixing feed wagons and modern concepts of mixing systems in the Moravian-Silesian region for small scale and large scale cattle breeders, composting plants and biogas plants. Many years of experience have allowed us to design vertically mixing feed wagons with great reliability, perfect preparation of the feed ration and long service life. Even on larger farms, these wagons are often renewed after up to 10 years. Affordable, inexpensive and fast service of an European manufacturer are also valued by customers. Wagons have a massive and durable construction, and high quality materials, including stainless steel, are used in their production. In many cases, wagons are tailored to specific conditions and their functions are expanded. For example by the possibility of straw turbine reach up to a distance of 20 m, or by self-loading by a hydraulic loading arm or by a milling machine. The wagon can be delivered in a scale from the simplest version without weighing system and conveyor up to the completely equipped type with a stainless steel scraper conveyor and an on-board hydraulics (multiplier, hydro-generator, tank, filter, controller and switchboard) which allows the vehicle to be independent of the tractor’s hydraulic, which especially by older tractor does not have to be in good shape. 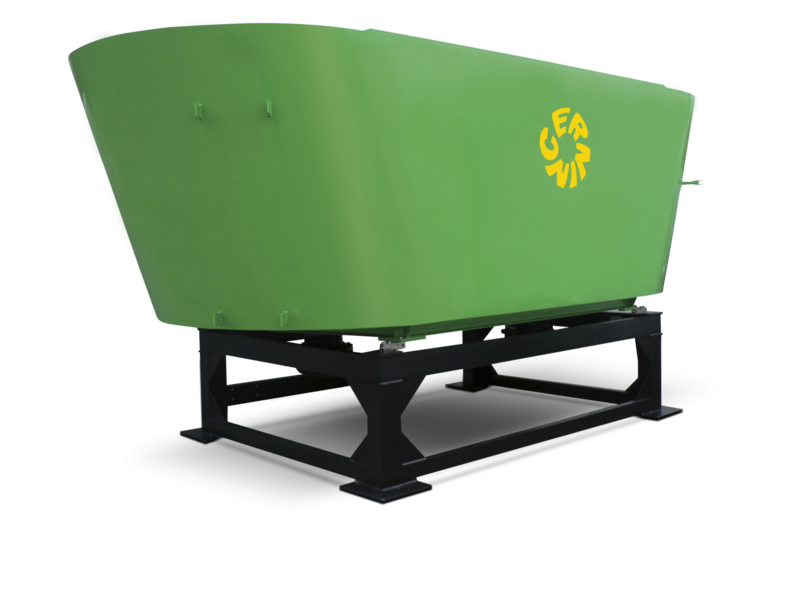 Optional accessories includes hydraulic counter-blade control, electronic control of all functions, and newly also bagging device that enables the production of bags of corn silage. The sizes produced range from 4 to 60 m3, with the larger sizes being used mainly in biogas stations operation. 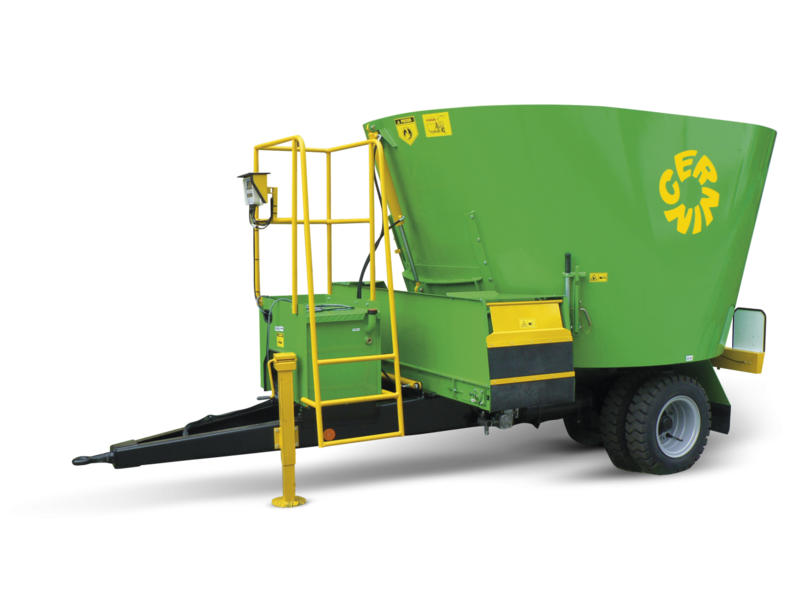 The single-auger versions of the wagons are manufactured up to the size of 18 m3 and wagons from the size of 12 m3 can be equipped with two-augers device for customers who need to process large volume in a small space. The mixing tub allows easy loading, even of a large amounts of a feed mixture, without need to have it pre-treated. The vertically arranged auger for mixing of all kinds of the feeds is provided with special saber knives that ensure quick cutting of the components, and by manipulation of the counter-blades the desired feed coarseness and length can be achieved. 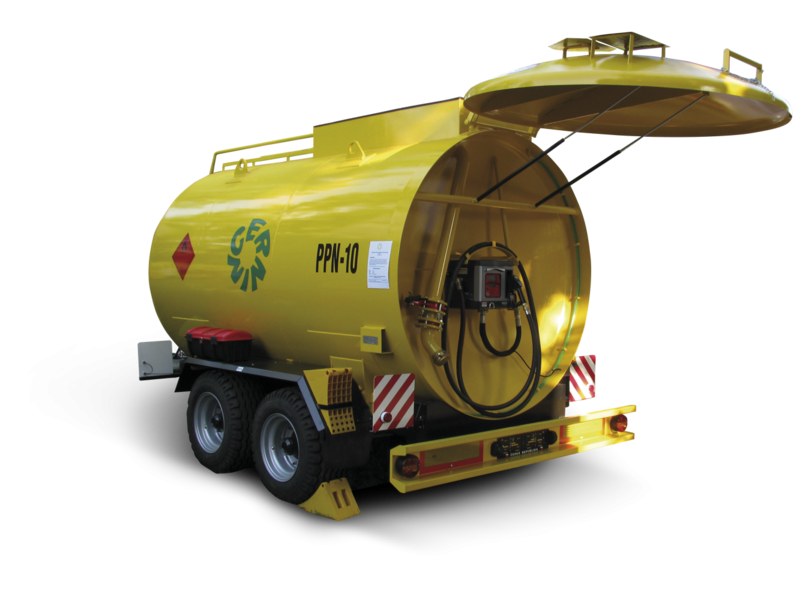 Another regular part of the company product portfolio are mobile service tanks for diesel fuel, with sizes from 5 to 15 thousand litres. Despite a higher purchase price, they have gained popularity for the easy and fast use without any official operations approval and the possibility to solve the issue of refuelling in the field or the use as the so-called private gas stations for their own usage. Tank semi-trailers can be produced with the permissible speed of 80 km/h. This device is certified by TÜV with the protocols and declarations of conformity that are valid throughout the EU. Since the tank is classified as standard semi-trailer, for the usage, there is no need to conduct territorial proceedings or apply for permissions from the authorities. It is also possible to supply the tank without transport ability for use as a non-public filling station.